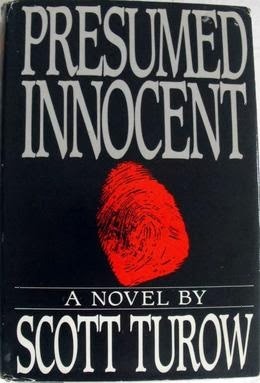 Hailed as the most suspenseful and compelling novel in decades, PRESUMED INNOCENT brings to life our worst nightmare: that of an ordinary citizen facing conviction for the most terrible of all crimes. It's the stunning portrayal of one man's all-too-human, all-consuming fatal attraction for a passionate woman who is not his wife, and the story of how his obsession puts everything he loves and values on trial--including his own life. It's a book that lays bare a shocking world of betrayal and murder, as well as the hidden depths of the human heart. And it will hold you and haunt you...long after you have reached its shattering conclusion. Scott F. Turow is an American author and a practicing lawyer. Turow has written eight fiction and two nonfiction books, which have been translated into over 20 languages and have sold over 25 million copies. Movies have been based on several of his books. Rusty... An eminent attorney... He is his boss’s favorite! He is emotional and secretive. He lives most of his life in solitude without complaints. Carolyn is a beauty with brains. She knows her business and lives her live in her style. She carries secrets and is famous among her colleagues. The book is divided into three parts. Summer, Spring and Fall. The language used is very different; the words are sophisticated. The story flows with an ease in a casual manner. It is a book with a little over 300 pages. First half of the book is a real lag and as a reader we feel bored. We feel tortured and lose interest. The conversations seems trivial and nothing much happens. But, as we dive into the second part of the book, the book catches pace. And the climax makes us fall in love with the book and pardon the author for making us endure the 150 odd pages of torture. Enduring the first 150 odd pages is a challenge – A torture! Please read it... A book worth the time spent! Fall makes us fall in love with the book! Dear former Editor-In-Chief (Vijay, as the World knows you) for making me read this... And threatening me when I wanted to give up while reading the initial 150 pages! Lolz..............You had to complete it...to enjoy!!!! Yeah,,, Thats how it was!